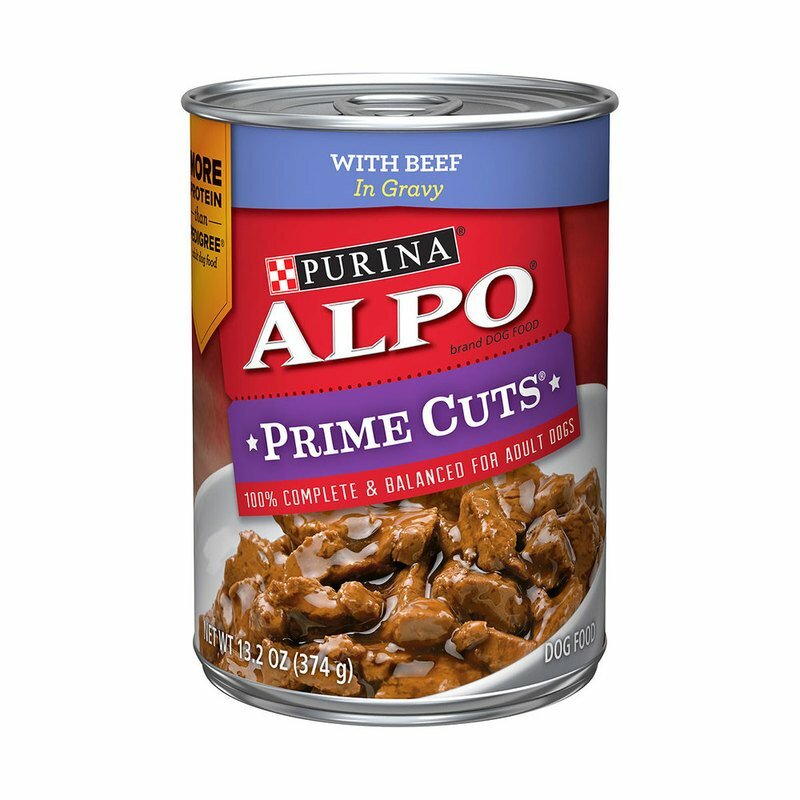 Alpo Prime Cut Gourmet Grill Dog Food 13.20 oz. Delight your dog with this recipe by feeding him a bowl of the mouthwatering, tender meaty chunks found in each can of Purina ALPO Prime Cuts With Beef in Gravy wet dog food. This savory recipe contains high-quality protein sources and 23 vitamins and minerals to supply your best friend with the 100% complete and balanced nutrition for adult dogs he needs, and all with a delicious, meaty taste he'll love. This recipe also helps your dog build strong, lean muscles to support an active lifestyle. You care about your faithful companion's happiness and well-being, so make sure you give him the appetizing flavor and texture he wants each day along with the nourishment you want for him with Purina ALPO Prime Cuts With Beef in Gravy wet dog food. Plus, every can of Purina ALPO wet dog food contains 25% more protein than the leading canned competitor's adult dog food.